The 1990 World Cup was when Cameroon burst onto the global stage, reaching the quarter-finals of the World Cup as 38-year-old Roger Milla made himself a cult hero with his goals. It always helps when a cult team has a great kit and Cameroon certainly ticked that box. Wearing a slightly dated adidas template didn’t matter that much when they had a massive lion on the chest. The national colours of green, red and yellow went well together, and the white trim on the shirts and shorts fitted in, even if it was a telltale sign that the gear was teamwear (though the away shirt was able to combine yellow and green). Having beaten Argentina and Romania, a 4-0 loss to the USSR failed to prevent Cameroon from topping Group B, to set up a last-16 meeting with Colombia. Nowadays, we’re familar with the South American side’s kit resembling its flag layout, but changes are never too far away and, back then, their first-choice shirts were actually red. 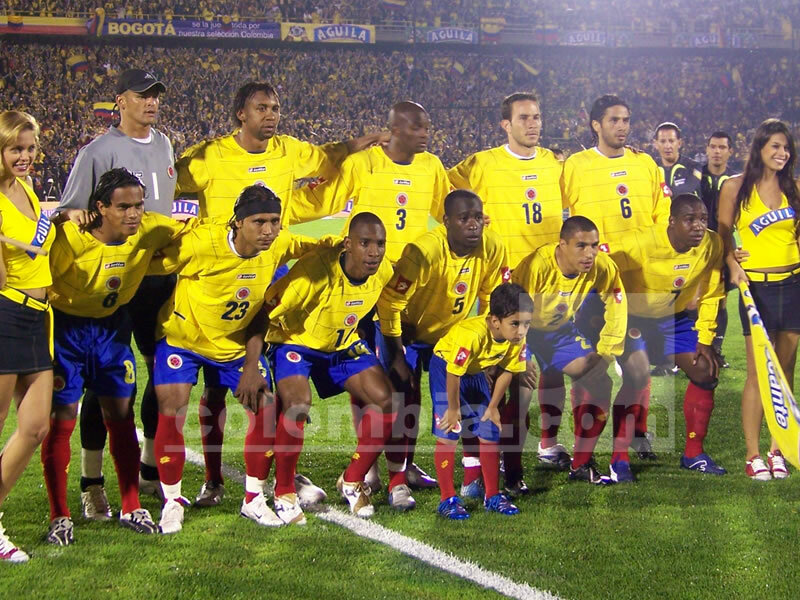 While all of Colombia’s Group D opponents – Germany, Yugoslavia and the United Arab Emirates – wore white against them, both yellow and red socks were used. Cameroon were considered the ‘home’ team for the knockout tie and so Colombia switched to yellow shirts, but as a concession they were allowed to retain their yellow socks, meaning Cameroon switched to green and the only yellow on their kit was the crest. It mattered little though as two goals from Milla in extra time sent them through to the last eight, where they threatened to upset England before two Gary Lineker penalties secured a 3-2 win for Bobby Robson. Nevertheless, Cameroon were out but not down, and they had left their mark on the world.